The BJP Parliamentary board, in a meeting yesterday, picked Naidu for contesting the poll for vice president. 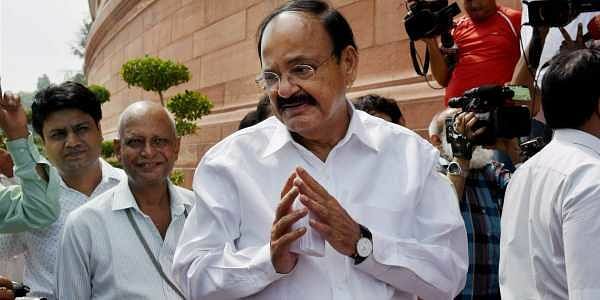 NEW DELHIL Flanked by Prime Minister Narendra Modi and veteran BJP leader L K Advani, former minister M Venkaiah Naidu today filed his nomination papers for the vice presidential election. The BJP's Parliamentary Board had yesterday picked Naidu as the NDA's vice presidential nominee. Naidu will contest against the opposition's vice presidential nominee Gopalkrishna Gandhi.